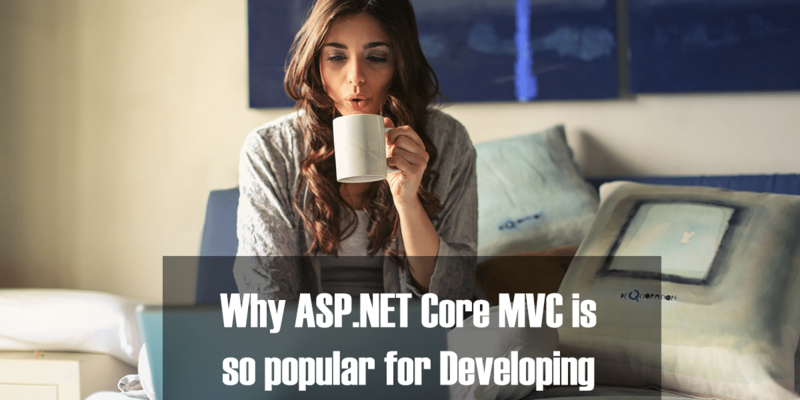 ASP.NET MVC is a lightweight and testable framework built on top of ASP.NET features which was system.web and that brought over a lot of existing baggage or legacy code. 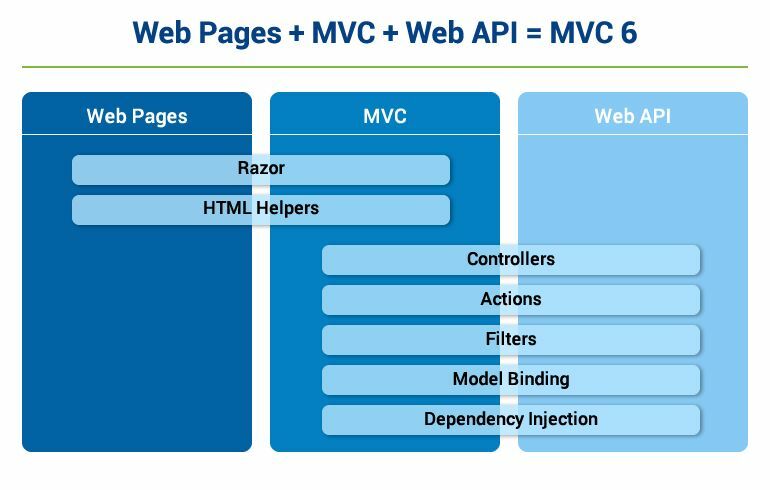 In ASP.NET MVC 5, Web pages, MVC and Web API were implemented separately, leading to duplication and inconsistencies. The programming model was as depicted in the figure below. The adoption of ASP.NET MVC for enterprise app development was on the rise for years; however, Microsoft was facing the issue of maintaining two code bases. Going forward, Microsoft has unified MVC, Web API, and Web Pages in ASP.NET Coreand with ASP.NET Core MVC redefined the complete idea of web application development. It is open source, model view controller framework designed and optimized for use with ASP.NET Core. It is test driven development (TDD)-friendly, uses latest web standards and supports pattern-based way of building dynamic websites with clean separation of concerns. New set of tools to make modern web development simpler and easier. Built on .NET Core which supports complete side-by-side app versioning. 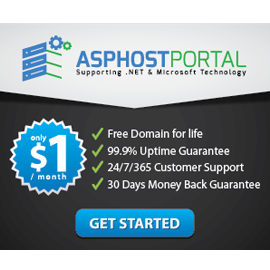 Allows building and running cross-platform ASP.NET apps on Linux, Mac and Windows. 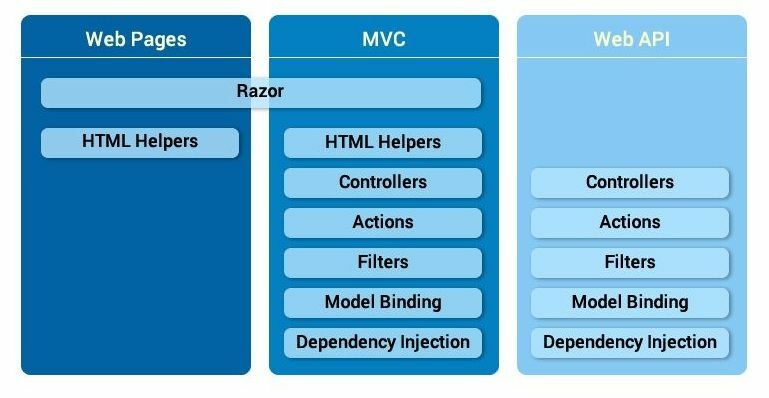 Microsoft has completely overhauled the existing ASP.NET MVC framework and come out with a new and advanced ASP.NET Core MVC. The new framework not only equips you with greater flexibility but also enables you to gain competitive advantages with high-end web applications. Be it business websites or web shops, you can gain an edge over competition with .NET development.